مع اسمك، وعملك، ملخص البحث ومعلومات الاتصال. 2- أهمية المسابقة: على مدار عشرات السنين كان نظام إدارة المدينة و بالأخّص “الأراضى” يصب فى مصلحة فئة أو شريحة محدودة من المجتمع على حساب مصلحة القاعدة العريضة من الشعب فكانت سوء إدارة الأراضى و التخطيط العمرانى و الإسكان كلها مشاكل تؤثر سلباً على سكان المدينة. و لكن بدخول مصر فى عصر جديد يجب أن يواكبه تحول فى طريقة معالجة هذة المشاكل و إعادة النظر و تنمية وسائل و سبل جديدة لتحسين و تطوير المدينة. و لا يجب ان تقتصر مشاركة المصريين فى تشكيل بلدهم و مستقبلها فقط عبر صناديق التصويت و لكن يجب أن تكون مشاركتهم فعّالة و تتناول أدق التفاصيل التى تمس حياتهم اليومية مثل إستخدامات الأراضى, الفراغات, الإسكان, الإدارة المحلية, الخدمات….إلخ. و الهدف من هذة المسابقة هو تركيز الضؤ على هذة الموضوعات الغير متناولة أو تركيز الضوء على شرائح من المجتمع غير ممثلة فى تلك الحوارات و المساعدة على إشراك هذة الأصوات الجديدة على مائدة الحوار. و نرى أنه من الممكن أن يتم ذلك من خلال نشر هذة الأفكار الجديدة الجيدة للوصول إلى نمط جديد لمدينة القاهرة فتكون المدينة التى تعبر عن كافة سكانها و تتفاعل معهم. عبر عن نفسك بأى طريقة من الطرق التالية: كتابة – رسم رسم (كارتون) – فيلم قصير- جرافيكس (أى رسومات أو أفلام يجب أن تكون مصحوبة بشرح توضيحي مكتوب). والتعليقات وزن كبير في عملية التحكيم. SUBMIT ALL MATERIALS TO CAIROFROMBELOW@GMAIL.COM WITH A COVER PAGE INDICATING YOUR NAME, PROPOSAL SUMMARY, OCCUPATION AND CONTACT INFORMATION. 1) What is this? A call for proposals that describe what you want your city to look like and how you see the future of Cairo’s urban design, planning, and community over the coming decades. The structure of governance over land in Cairo has for decades benefited a narrow elite at the expense of the wider population. Land mismanagement and urban planning/ housing issues affect daily life and drive discontent in the city. As Egypt emerges from crisis it enters a period of opportunity to reexamine/ rethink/ develop new ways of improving the city/ our city. Egyptians’ participation in the shaping of their country should not begin and end with casting a vote. Egyptian ideas and opinions about the more granular issues including the use of physical spaces, housing and land management, city governance, services, etc. should be included in the debate. The aim of this competition is to highlight underrepresented issues, individuals and groups, help to get new voices space at the table by publicizing great ideas to ensure that in the future Cairo is an inclusive, responsive and democratic city. a. Public Spaces: How should public spaces be used? What do the people want? What is the state of public spaces in Cairo today and where do you want to see it? 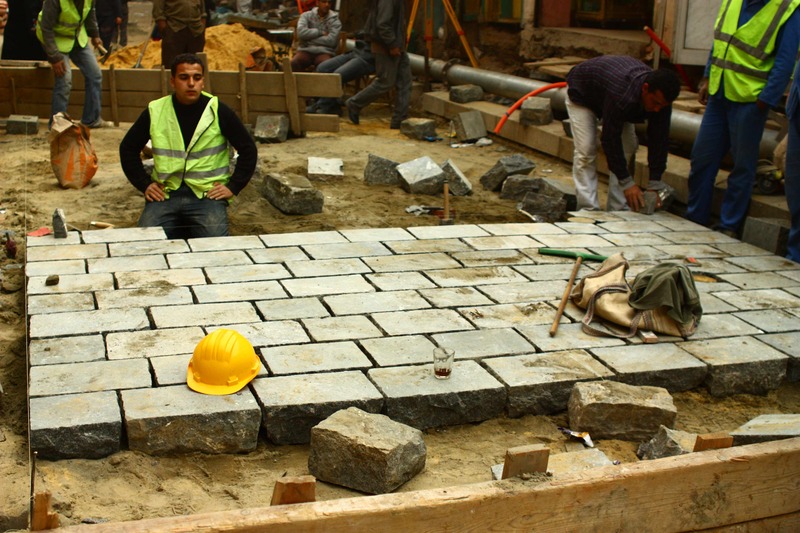 What do you envision for the future of public spaces in Cairo? b. Empowering/Supporting Communities: Strong communities and networks exist in Cairo; what are some ideas for supporting these networks and empowering them to be community activists and to push for their input and voices to be heard? What are some ways they have worked? How does local governance play a role? How does this link to security of tenure and housing rights? c. Historic Sites/ Tourism: What is the balance to be struck between preserving historic sites and encouraging responsible tourism to the city. d. Innovations in Cairo’s Transportation: What are some innovative ideas for improving Cairo’s transportation network? How can people be involved in the process? How will it best support the population and promote the environment? e. Public Infrastructure: How is public infrastructure designed? Used? Abused? Where do you see the future of this? What do the people want from their government? f. Land Use: Who is responsible in determining the use of land in Cairo and, in your eyes, who should possess this role? How is land used and what is the process to reach a more equitable distribution? Facebook “likes” and comments will be given significant weight in the judging process.